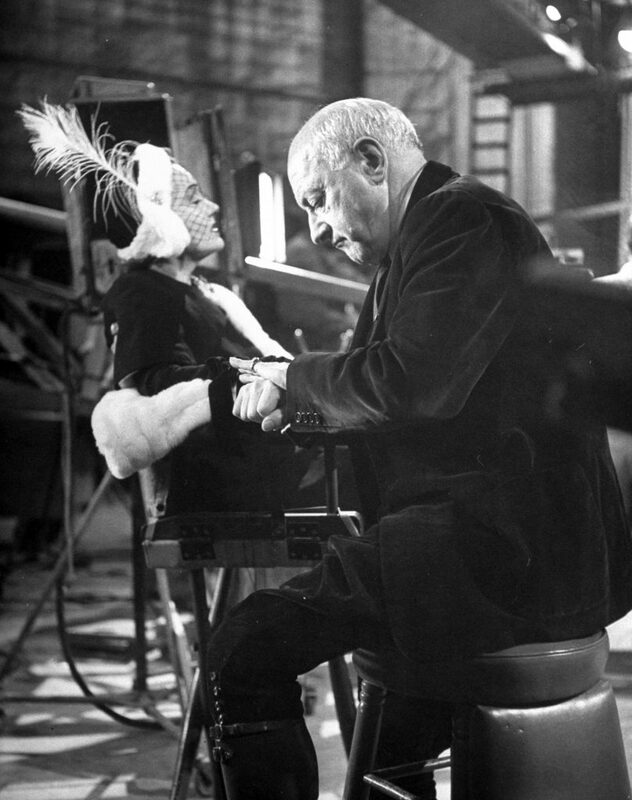 In a tale told by a dead man, Sunset Boulevard is a grim look at the Hollywood intersection of faded fame and thwarted ambition. Tapped out screenwriter Joe Gillis (William Holden) stumbles into the orbit of Norma Desmond (Gloria Swanson), a forgotten movie star with delusions about her circumstances and a mausoleum-like home. Needing a place to hide from his debts, Gillis agrees to co-write an absurd script for the triumphant return of Desmond, who slips further into a fantasy. Desmond becomes increasingly possessive of Gillis, who balks at being a kept man and who plans to leave. Desmond’s world is peopled by other former stars on the far downside of careers. In brilliant casting, Erich von Stroheim, Buster Keaton, and Anna Q. Nilsson provide a bizarre touch of verisimilitude in their roles as forgotten stars. What emerges is a savage take on what a descent into obscurity looks like. Part A Rose for Emily, part Grey Gardens, Wilder’s film combines pathos, hopelessness and the absurd – for starters, a midnight burial of a pet monkey. It adds up to starkly atmospheric, must-see film. SPACE April 8, 7 p.m., $8. Purchase tickets here. KinoNoir is made possible in part by the support of the Maine Humanities Council. With “screens” on our laptops and smart phones, the viewing experience grows more and more solitary. So there’s something wonderful and enriching about a group of people coming together to watch a film – a real film – of celluloid frames speeding at 24 fps past the bright lamp of a projector. The projected image has depth; the subtle flicker brings it to life way that digital technology cannot. The audience gets to to experience together the true magic of cinema. Four years ago, we launched KINONIK to promote the study and support the enjoyment of cinema through theatrical screenings projected on film. We screen 16mm films throughout Portland and are collaborating with the St. Lawrence Arts Center and SPACE. Our screenings include context about the films and the chance to talk about them following the shows. Our archive features eclectic selections that offer a rich overview of film from the early days of cinema to the 60s. Our 250-film collection is comprised of the familiar (Chaplin, Pabst, Renoir, Truffaut) and the less-known (McLaren, Tsarevitch, Sucksdorff). Join us in the shared darkness to rediscover the power of 24 fps communal cinema. Through theatrical screenings of projected film and thoughtful audience discussion around it, as well as educational film immersion programs (in planning stages) for children and adults, we strive to support and enrich Portland’s cultural community. Central to our mission is making screenings accessible to all – at a price point nearly every Portlander can afford. We are also working with local educational/arts organizations to find ways to dovetail with existing programs to bring programs of projected silent films, free of charge, to children Portland public schools. Bring the value of a cinematic experience to both experienced and new generations of filmgoers. Generate and sustain thoughtful dialogue about the value of cinema and its role in society. Establish outlets for film education and a permanent “home” for our growing archive and resources. Enrich the Portland cultural community through screenings that make cinema accessible to all. James Cradock, Andy Graham, Skylar Kelly, Nick Loukes, Carolyn Swartz, and Peter Weed. Sharing our films costs money. Licensing fees, conservation and storage costs add up. Your support makes our work possible. Donations may also be mailed to KINONIK, care of Peter Weed, 33 Chamberlain Ave., Portland, Maine, 04101. For more information, contact Peter Weed at 207.415.9086 or peter@kinonik.org. KINONIK is a 501c3 organization. Donations are tax deductible.